Every one of us knows that email marketing totally works on the feeding of email ids. And to fulfill all these lots of email extractors are available. But for Outlook there are few things that you need to focus on. The reason is that it is a combination of both files and mail service providers. Thus, what are the points to focus on while harvesting email ids from Outlook? .PST & .DBX files- We all know that MS Outlook & Outlook express have two different files formats that is .PST & .DBX respectively. If we are looking to harvest email addresses from them then we require a tool that has choice rigged to get email ids from these two file formats. If a tool supports both these formats it gives and upper hand to the user. Folders- This similarity comes from mail service providers. Just like Outlook they too have several folders like Inbox, Outbox, etc. that can be a huge source of email ids. Thus if the outlook email extractor or any other software that you have employed gives option to extract email ids from folders then it will be a great advantage for them. These two features are required due to their similarity with features of files and service providers. But there are some characteristics that need to be added for more functions. In which the first one that comes in mind is the ability to remove duplicates. Of course the duplicates will increase the workload hence it is necessary to remove them either automatically or manually. If the tool could remove them it will help in culminating the labor a lot. These duplicate ids will increase the workload for the user thus it is essential to eliminate them. Another thing that increases the problem is saving of IDs for future. It may happen that the extracted ids list is of no use right at the moment. So it will be a better thing to save it. If the tool has option to save that list in any file format then user would be able to utilize it anytime. 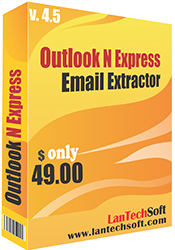 Being an email extractor is not the only thing users need but they also want features like these that can make a suitable Outlook email extractor.